The 5.4 qt. 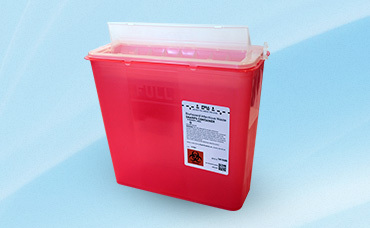 Sharps Container is designed to be used with the Plasti-Products Locking Wall Bracket. 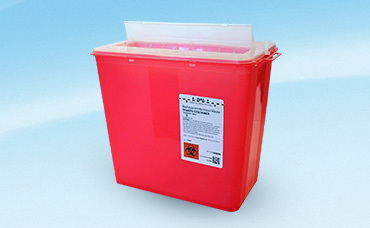 Container has an automatic rotating chamber for touchless deposit of most sharps and can also be used with the BD® 5.4 qt Locking Wall Bracket. 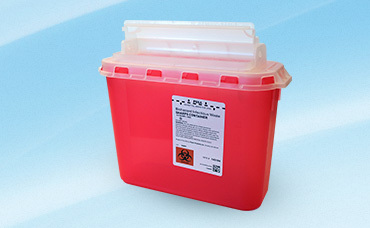 The automatic rotating chamber is designed to safely deposit sharps into the puncture resistant container. 4 qt., 8 qt., and 14 qt. containers are also ideal for countertop or may be mounted on bracket.